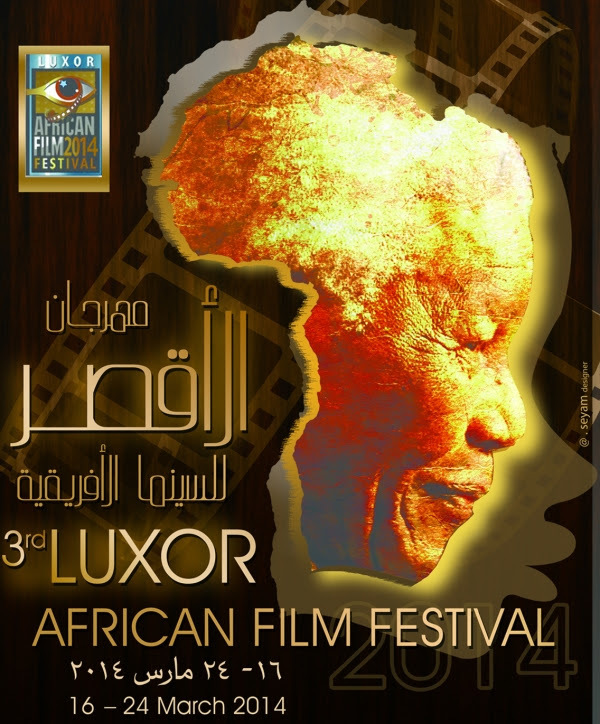 The Luxor African Film Festival (16-24 March, 2014) has decided to split the long films competition into two distinct competitions, one for narratives, and the other for documentaries, due to the large number of received films and their qualities, in addition to recommendations made by jury members in the last edition of 2013. The jury for long narrative films will be headed by great Malian filmmaker Souleymane Cissé, with actress and director Naky Sy Savané (Côte d’Ivoire) , director Ahmed Rachedi (Algeria) , actress Elham Shaheen (Egypt) and director of photography Tariq al-Tlemsani (Egypt) . The jury of the long documentaries competition will be headed by critic Mahen Bonetti (Sierra Leone), with producer Pedro Pimenta (Mozambique) and director Daoud Aoulad-Syad (Morocco), critic Peter Machen (South Africa) and director of photography Sameh Selim (Egypt). The jury of short documentaries and narratives will include competition feature films and short documentaries will be headed by critic Balufu Bakupa-Kanyinda (Congo) , with director of critic Mahrez Karoui (Tunisia), Keith Shiri (Nigeria) , scriptwriter Attia al-Dardiri (Egypt) and director Amir Ramses (Egypt). LAFF also chose the great writer Youssef al-Qaeed to heaf the jury of the competition of freedom films (in the name of martyr al-Husseini Abudeif) , with the membership of critic Martin Botha (South Africa), critic Fathi Kharrat (Tunisia) , actress Salwa Mohamed Ali (Egypt) and critic Ahmed Fayek (Egypt) . LAFF will give an honorary tribute of the third edition to great Egyptian actor Mahmoud Abdul-Aziz, and the great director Mahamat Saleh Haroun from Chad. LAFF received 320 films from 46 African countries. The 3rd edition will include the participation of 17 ​​ non-African countries in the Freedom Films and the other sections. LAFF also revealed the poster of the third edition that is featuring the late South African leader Nelson Mandela’s profile surrounded by the African continent. The Luxor African Film Festival is organized by Independent Shabab Foudation , with support of the Ministries of Culture, Tourism , Youth and Foreign Affairs, in collaboration with the Governorate of Luxor , the Egyptian Film Syndicate and the National Bank of Egypt .